The dB Technologies DVA Mini is the leading sound and technology company’s compact, lightweight series that offers the same user-friendliness and sound quality as it’s predecessor, the DVA T8. 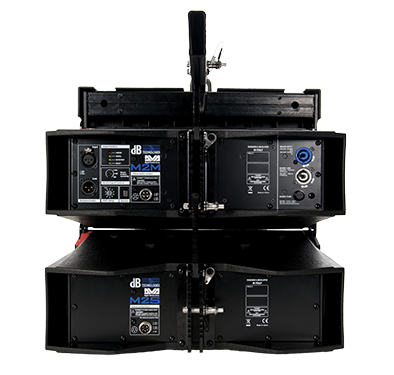 Using the innovative master-slave system, the dB Technologies DVA Mini offers a simplified wiring and lightweight solution making it extremely versatile for many applications from fixed installations, concert touring or live performance use. Low-mid range constant coverage: The low and mid-range reproduction is performed by the two 6,5″ neodymium woofers, whose disposition and efficiency is extremely optimized thanks to a custom dual phase-plug. The neodymium magnets also means lightweight and portable! Clear and assertive top end: The two 1″ drivers, finely tuned for the DVA M2 custom designed array horns, deliver a crystalline clear sound in high frequency, in order to provide to the audience the same intelligibility of the DVA line array systems. 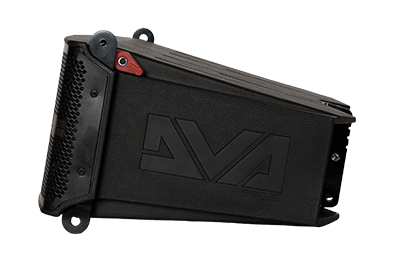 Light weight but heavy duty: The DVA Mini has a high quality reinforced Polypropylene enclosure, and the internal hard-wearing anti-vibration structure, makes the M2M and M2S boxes very tough and able to work as heavy duty professional tools. Premium design: The DVA Mini has a very clean aesthetic and a discreet look. Even the mechanics are hidden behind the frontal panel, and the elegant curvature of the frontal hexagonal grille contributes to create a very nice looking system for any kind of fixed installation purposes or live music events where the system should be totally invisible. Consistent coverage pattern: Low and mid-range reproduction has been extremely optimized by a custom dual phase-plug. This technology significantly improves the mid-range efficiency of the speaker and, most of all, makes the horizontal coverage really homogeneous and consistent. Download telemetry from USB: An integrated USB B-type port on the M2M amplifier allows the user to access the complete telemetry of the speaker, monitoring the status of every single element of the line array, including total playing hours, temperatures and performances reports. You can also download a file log as a status report, and upgrade the Firmware of the DVA M2M using the same USB port. Simple mounting System: DVA mini is an incredibly versatile system and have provided a way to simplify the process of installation and rigging by completely removing the pins and mechanics, in favour of a quick-locking system. Youíll simply have to place one module below the previous one, and slide it towards one side until the red lever is up. Mounting the system in a flash has never been so easy! Single rear mechanics: A single mechanic is provided on the back of every single DVA M module. Using incremental angles steps dB Technologies has greatly improved the precision of the mechanics. Smaller steps between the modules mean more precision in the aiming of your DVA linear array system. 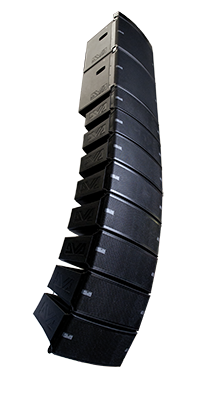 Ground stacking options: The db Technologies DVA mini works equally well as a ground stacked system by simply placing the system on top of the MS12 sub without any additional frame or mechanic. As an optional, DSA-M2 pole mount adapter can handle the line arrays modules, helping the user to elevate the system to a reasonable height through a standard pole.